This is a widespread and common species in North America with stable populations throughout its range with the exception of perhaps the northeastern occurrences from New York to West Virginia. 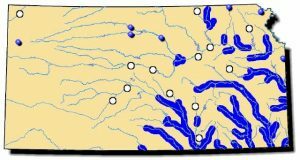 The range of this species includes the entire Mississippi River drainage, from New York and Pennsylvania west to the Dakotas, and south to eastern Texas and Louisiana and Alabama. Comments: The pimpleback usually has pustules on its shell but sometimes it can be found without this characteristic and the shell is smooth. The overall appearance is circular with the exception of a squared-off posterior margin. 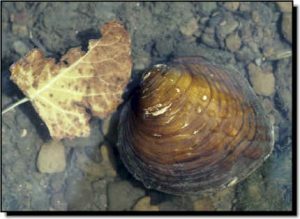 It is a common mussel where found and is typically in the top three mussel species in abundance at river sample sites in southeast Kansas.